Alcoa Inc. is one of the world's largest aluminium smelting companies. According to their website, "Alcoa is the world’s leading producer of primary aluminum and fabricated aluminum, as well as the world’s largest miner of bauxite and refiner of alumina." In 2011, the company recorded $24,951,000,000 in revenues. 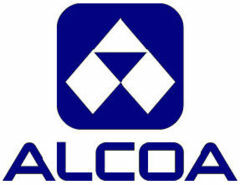 Alcoa has been a corporate funder of the American Legislative Exchange Council (ALEC). See ALEC Corporations for more. Alcoa also owns 37 electric generating stations in the U.S., which total 1,721 MW capacity; this electricity is largely used to power Alcoa's aluminum processing. Out of this total, 65.0% comes from coal, 31.4% from hydroelectricity, and 3.7% from natural gas. Alcoa owns power plants in Indiana, North Carolina, Tennessee, and Texas. In 2005, these two coal-fired power plants emitted 8.7 million tons of CO2 and 144,000 tons of SO2 (1.0% of all U.S. SO2 emissions). On April 9, 2003 the U.S. Department of Justice and the U.S. EPA announced a settlement agreement with Alcoa Inc. for an estimated $330 million to install a new coal-fired power plant at its aluminum production facility in Rockdale, Texas with upgraded pollution controls to help eliminate sulfur dioxide (SO2) and nitrogen oxide (NOx) emissions. The settlement resolved allegations filed in federal court by the EPA and its co-plaintiffs, Neighbors for Neighbors, Inc., Environmental Defense, and Public Citizen that the company had unlawfully operated the Sandow Station since it overhauled the Rockdale power plant without installing necessary pollution controls and without first obtaining proper permits required by the New Source Review program of the Clean Air Act. The EPA notes that Alcoa's coal-fired plant, located in northeast of Austin, was the single largest non-utility source of SO2 and NOx emissions in the country. The plant generates electricity for two aluminum smelters and a strip-mining operation that supplies lignite coal for the power plant. The aluminum at the plant is used for truck wheels, cans, die-casts, machinery, components for telecommunication devices and appliances. Alcoa also paid a $1.5 million civil suit and $2.5 million on two additional environmental projects in an attempt to offset past emissions. In 2014 (as of reports filed in October) Alcoa spent $1.9 million on federal lobbying, working through the firms Mercury, Van Scoyoc, and McBee Strategic Consulting. Alcoa made the list of "megadeals" collected by Good Jobs First into a 2013 report of the largest subsides made to corporations in the US. At the time, the single most expensive subsidy: "a 30-year discounted-electricity deal worth an estimated $5.6 billion given to aluminum producer Alcoa by the New York Power Authority." According to Good Jobs First's subsidy tracker database, Alcoa has received a total of 101 subsidies worth an estimated $5,637,762,812, including subsidies in Ohio, Pennsylvania, Tennessee, and Washington in addition to the New York deal. A report by the National Employment Law Project (described below) raises questions about the value to the public of subsidizing jobs in the manufacturing sector. "The Right Thing to Do - Alcoa Foundation donated $8.6 million to create a six-year, global conservation and sustainability fellowship program to conduct research which will be given away free to companies and nongovernmental organizations worldwide to spur better sustainable development practices." "Preserving the Land - The first Corporate Park Achievement Award from the U.S. National Parks Conservation Association was given to Alcoa for preserving 10,000 acres of land next to the Great Smoky Mountains National Park in Tennessee." "Living with Nature - The Alumar Environmental Park in Brazil." "Conserving Biodiversity - Alcoa is working with Conservation International and Guinée Ecologie, Guinea’s national environment group, on maintaining the sustainable development of the region. Alcoa has access to some of the world’s largest bauxite reserves in Guinea." Sarah Lyall, "Smokestacks in a White Wilderness Divide Iceland in a Development Debate", New York Times/CorpWatch, February 4, 2007. Alcoa 2005 Annual Report: Seizing Global Opportunities. ↑ 1.0 1.1 Alcoa, Inc., BusinessWeek Company Insight Center, accessed July 2008. ↑ Alcoa, "2011 Annual Report", organizational document. ↑ "U. S. Announces Clean Air Act Coal-fired Power Plant Settlement with Alcoa - Settlement Will Reduce Nitrogen Oxide and Sulfur Dioxide Emissions from Facility by More than 90 Percent," U.S. EPA, April 9, 2003. ↑ Alcoa Company Website, Business Unit Leaders, accessed March 11, 2013. ↑ Center for Responsive Politics, Alcoa lobbying profile, Open Secrets database, accessed January 5, 2014. ↑ Alcoa lobbying expenses, Open Secrets, accessed January 2008. ↑ Philip Mattera and Kasia Tarczynska with Greg LeRoy, "Megadeals:The Largest Economic Development Subsidy Packages Ever Awarded by State and Local Governments in the United States," Good Jobs First, June 2013. Accessed January 5, 2014. ↑ Subsidy Tracker, Alcoa, Good Jobs First, database accessed January 5, 2014. ↑ 16.0 16.1 Catherine Ruckelshaus and Sarah Leberstein, "Manufacturing Low Pay: Declining Wages in the Jobs That Built America’s Middle Class," National Employment Law Project, November 2014. Accessed January 5, 2014. This page was last edited on 21 July 2017, at 16:30.